Tracking field sales reps with GPS monitoring software has become the norm in business since is mutually beneficial for managers and reps.
With a GPS monitoring software, managers know the location of field reps throughout the day and which customers are being visited, while reps will increase their customer-facing time by saving in planning, travel, and reporting time. Compatibility - Depending on their contract, outside sales reps might be independent from the company they represent and therefore use their own smartphones and/or tablets. Therefore, GPS monitoring apps must be compatible across devices and operating systems, running seamlessly in both Android and Apple devices. Scheduling – GPS monitoring software must provide call scheduling options both for mobile users (reps) and supervisors/ managers alike. 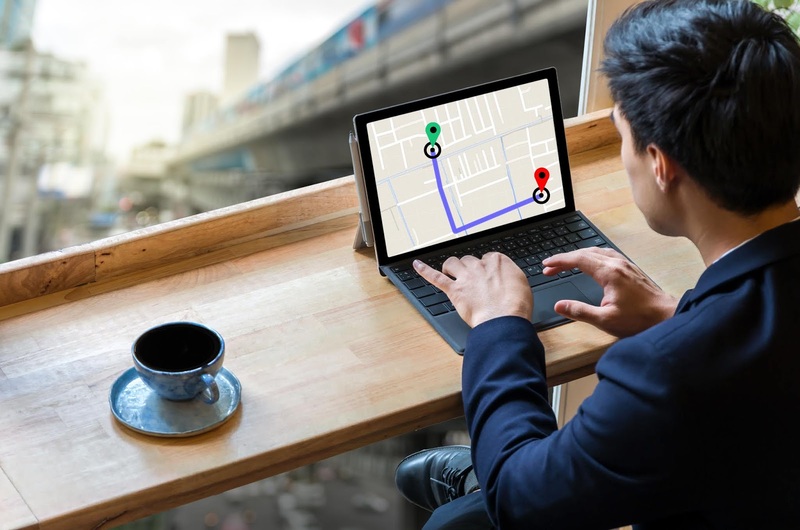 Routing – Some apps for tracking field sales reps also offer optimized routing, allowing reps to calculate the shortest route for their daily visits, and saving travel time and mileage. Data capture options – More than simple geographic coordinate capturing, GPS monitoring software must let users collect GPS and time-stamped data such as notes, pictures, and signatures. Reporting options – Tracking field sales reps / GPS monitoring software is all about managers and supervisors easily running and exporting reports on visit data, GPS coordinates, and timesheets, and the ideal solution provides that. Easy territory transition – One of the biggest issues in any organization with field sales reps is turnover. Therefore, a solution for tracking field sales reps must be able to easily transition territories, as well as allow for unlimited free downloads of its mobile app. Ready to start tracking field sales reps with GPS monitoring software - sign up today for a free trial of VisitEye!